GNOME had a very successful 2017 with the excellent 3.24 and 3.26 releases that continued improving their Wayland support, adding various features to their applications, etc. GTK4 development continued heavily as well with a plethora of improvements and new features. As 2017 nears its end, here is a look at our most viewed GNOME articles this year for reliving some of the best GNOME moments of the calendar year. With GNOME 3.28 shaping up well and GTK4 development continuing, 2018 may end up being even better. 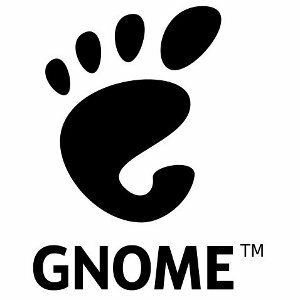 Longtime GNOME developer Emmanuele Bassi has pleaded his case that Vala is a "dead" language and that new applications/developers should look at alternatives or first work on improving this GNOME-centered language. The GEGL/GIMP team have decided some details concerning GIMP 2.10 as well as the future GIMP updates with GTK3, which may now be GTK4 instead. The developers working on NetworkManager have rolled out their big v1.6 feature update. While there is GIMP for advanced image manipulation and then a few other alternatives for more simpler image manipulation or drawing, a new "GNOME Paint" program is in development. Student developer Jente Hidskes' work this summer on improving the Piper GTK3 user-interface for configuring gaming mice on Linux via libratbag is now the latest example of a very successful Google Summer of Code (GSoC) project. Jonas Ådahl's latest GNOME work to benefit the GNOME Wayland support and other areas is a rework of Mutter so it now handles all low-level monitor configuration. Georges Stavracas has been hacking away on better half-tiling support in GNOME Shell / Mutter and is working towards quarter-tiling functionality. GNOME Shell 3.23.90 and Mutter 3.23.90 are now available for testing, which represents the component's release for the GNOME 3.24 beta. Prolific GNOME developer Matthias Clasen has written a blog post about recent and ongoing work for GTK4 at the start of 2017. Georges Stavracas has announced that for GNOME 3.25.91 they have finished up work on their new GNOME Settings user-interface, a.k.a. the redesign to the GNOME Control Center.